The best fried rice starts with cold rice. Hot, steamy rice will lead to more sticky and gummy fried rice. 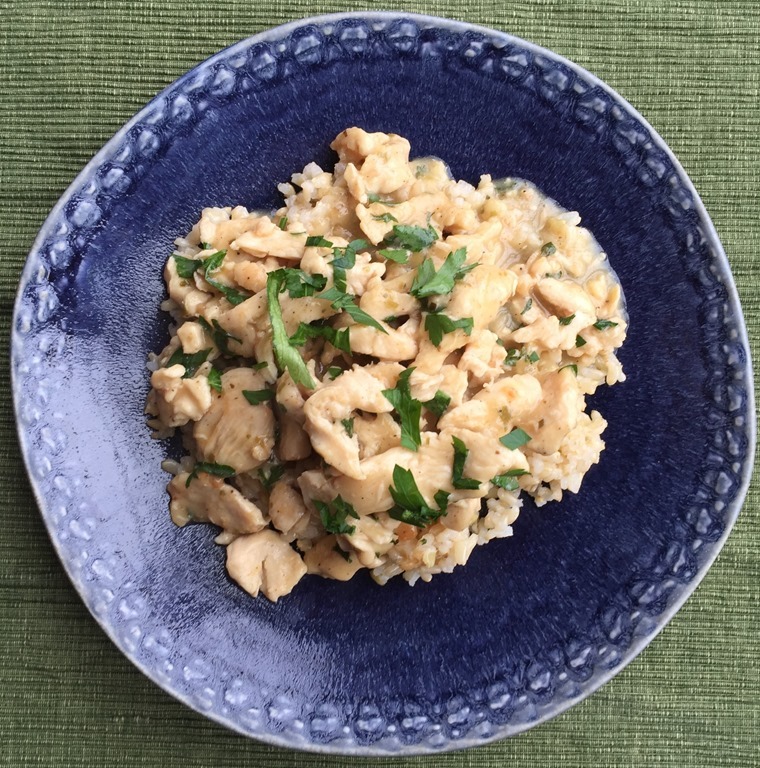 Starting with cold rice makes this a quick and easy meal when you have leftover rice in the refrigerator. And it is always a kid pleaser. I like to cook the eggs omelet-style and then cut them into thin strips when I make fried rice, but you can also cook them like regular scrambled eggs. In a large skillet, heat 2 Tbs olive oil or butter. Sauté vegetables until crisp tender. Stir in cooked ham or chicken and heat through. Stir in cooked rice. Cook for 2-3 minutes. 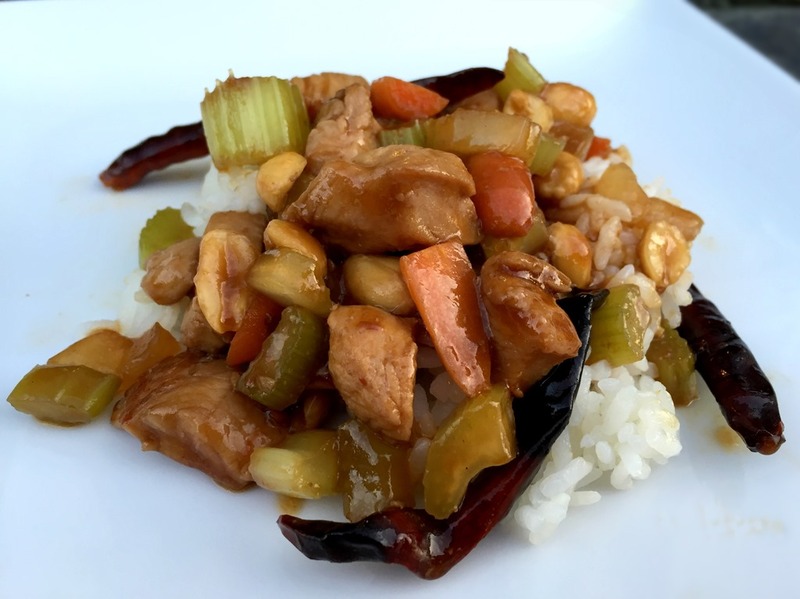 Stir in sauce and cook for about 5 minutes or until rice is heated through and sauce is absorbed. Stir in egg strips. Garnish with sliced green onions. 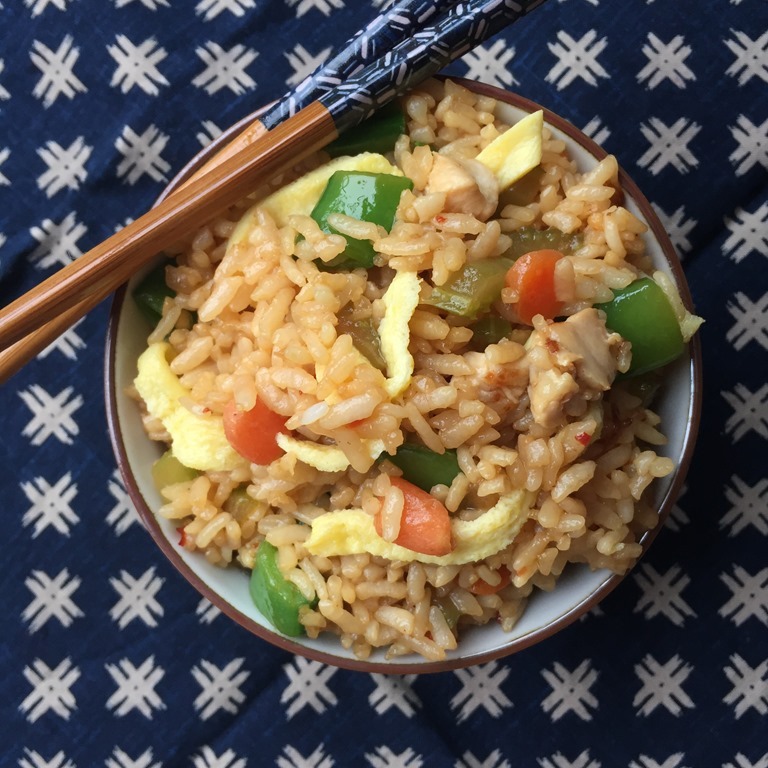 **Alternate cooking method for eggs: If you want scrambled eggs and not egg strips in the fried rice: After adding the meat to the skillet, push the vegetables and meat over to one side of the skillet. Add the beaten eggs to the other side of the large skillet and stir gently until cooked through. Stir in rice and sauce, as directed above. 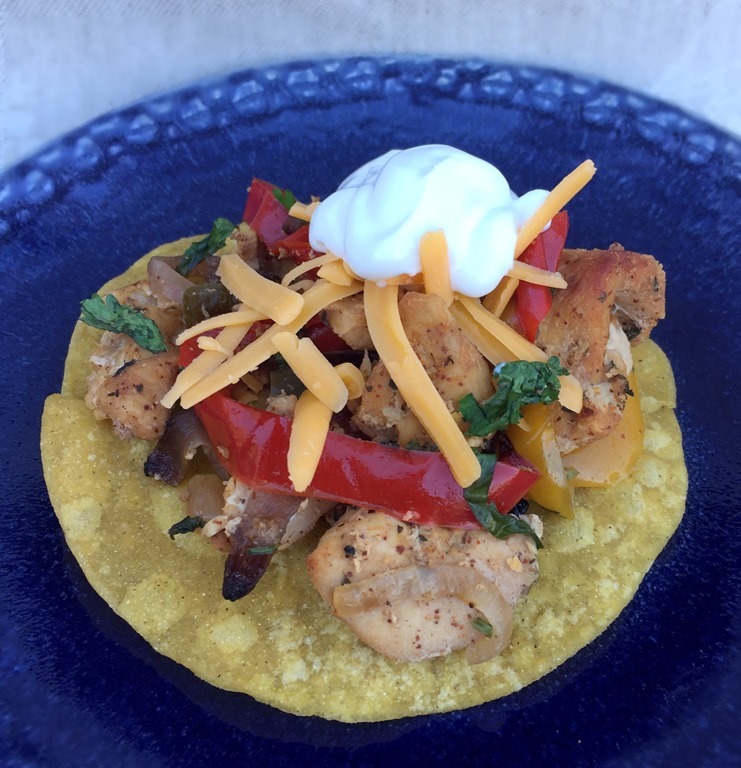 Chicken fajitas are always a kid favorite. Roasting the chicken and vegetables in a sheet pan makes for a quick and easy clean-up. Now everyone’s happy. 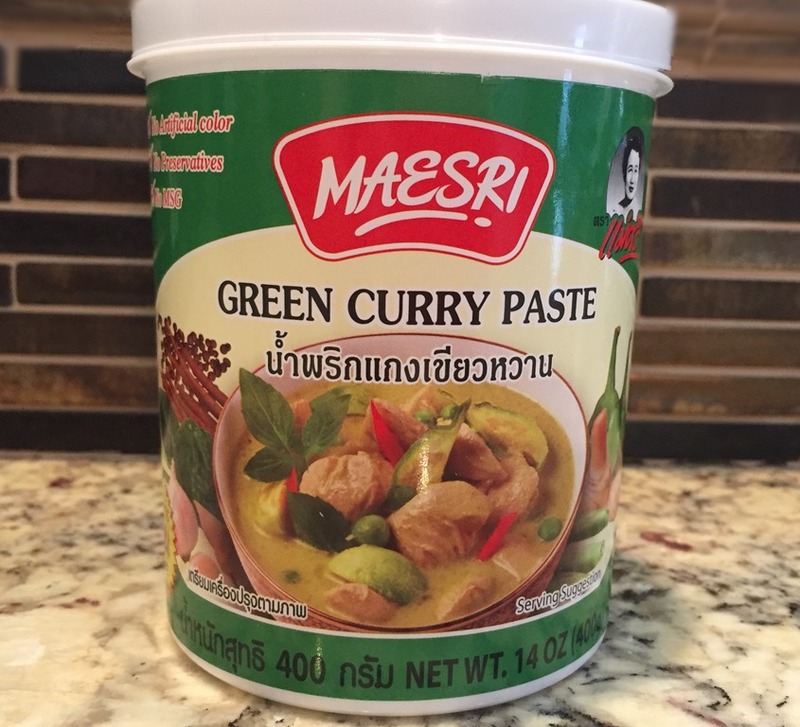 Great for eating traditionally in warm flour tortillas, topping a crispy corn tortilla, or on a bed of lettuce for those watching their carb intake. 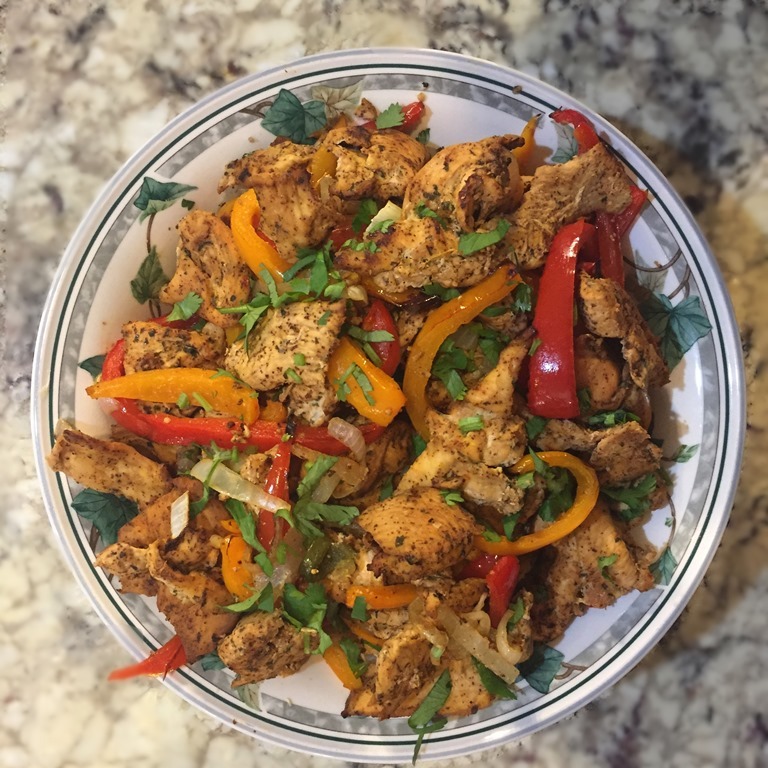 I serve these Fajitas with Instant Pot Chipotle Beans and Green Chili Cilantro Rice (recipe below). In a Ziploc bag, combine chicken, Worcestershire sauce, lime juice, soy sauce, Italian dressing, chili powder, garlic and 2 Tbs cilantro. Marinate at room temperature 30 minutes, or in the refrigerator as long as overnight. Preheat oven to 450°F. Line a large sheet pan with foil; spray or brush lightly with olive oil. Drain excess marinade from the chicken and spread into an even layer in prepared pan. Add sliced onions and peppers to the pan. Sprinkle with a small amount of salt. Roast in oven for 10 minutes. Pour off any liquid in the pan. Set oven to broil and cook until chicken and peppers just begin to char. Remove from oven and sprinkle with remaining 2 Tbs cilantro. Serve with warm tortillas and desired condiments. 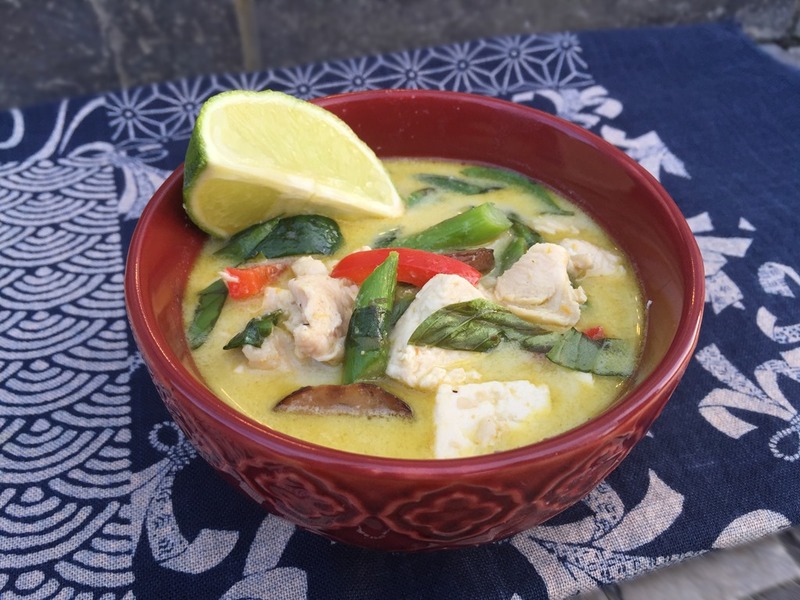 Whether you are eating low-carb, or gluten-free, or just want a delicious dinner that the whole family will love, this recipe fits the bill. The only ingredient some of my family object to is the mushrooms, but if I chop them finely enough, they don’t even know they’re there. And if you buy pre-sliced beef, you can have this on the table in under an hour. 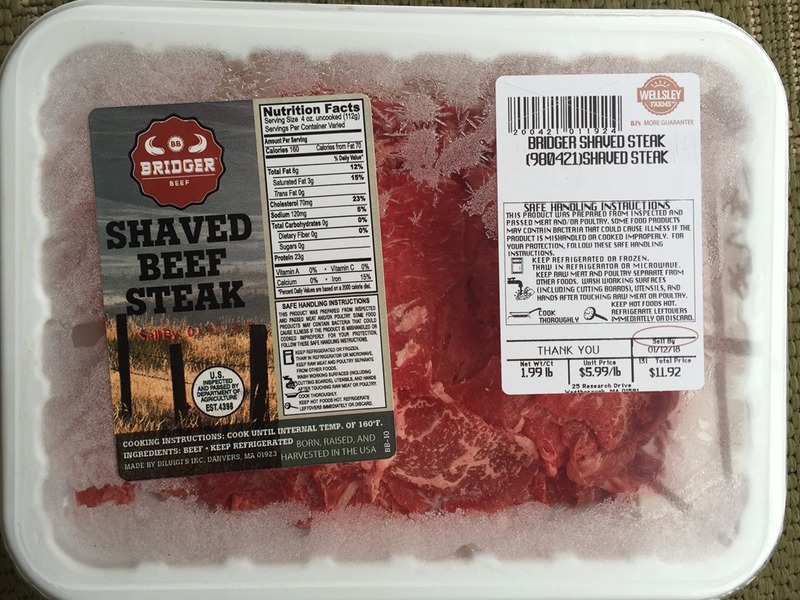 I like to serve this with Chipotle Black Beans and Green Chili Cilantro Rice. Preheat oven to 400°F. Lightly spray a 9×13” baking dish with olive oil spray. Melt butter in a large skillet. Add chopped onion, mushrooms, garlic, and jalapenos to the skillet and sauté until softened. Add beef to skillet and cook over medium-high heat until beef is cooked through. Stir in steak seasoning, garlic powder, and salt. Cook for an additional 5 minutes, or until most of the liquid has evaporated. Cut poblano peppers in half lengthwise. Remove seeds and place in baking dish. Sprinkle peppers lightly with salt. 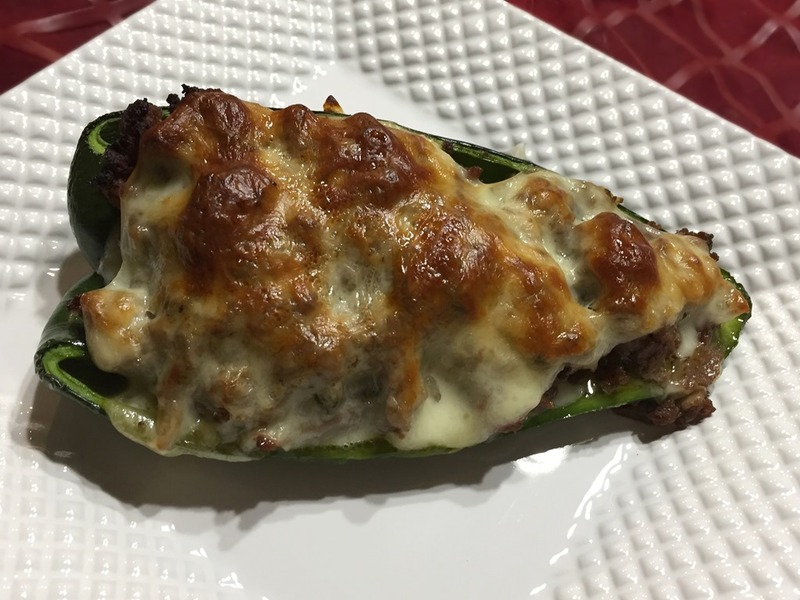 Place a slice of cheese, or small amount of shredded cheese, in each pepper. Spoon cooked beef mixture into the peppers. 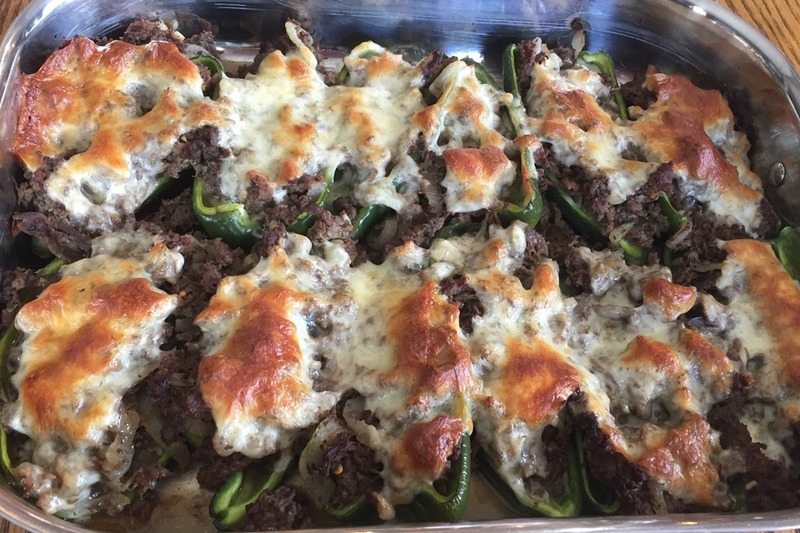 Top each pepper with additional cheese. Bake for 20-25 minutes or until cheese is golden brown. 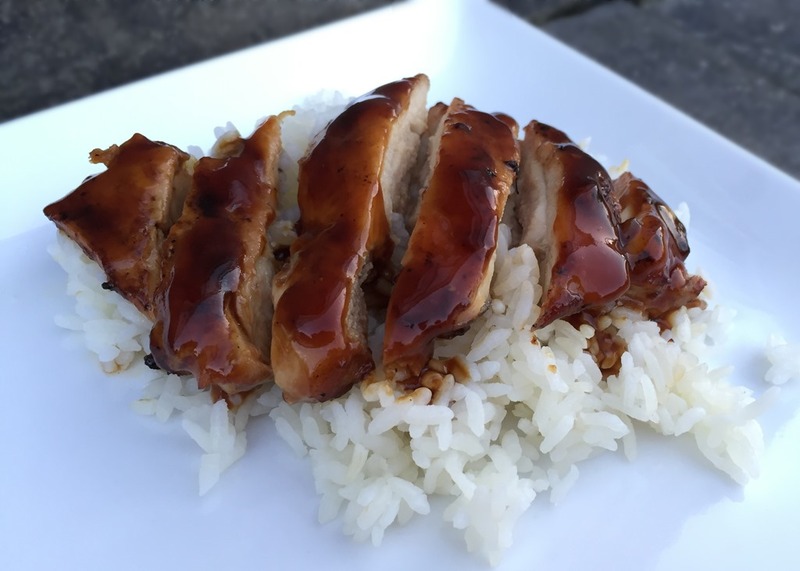 Teriyaki Chicken is an easy and delicious way to grill chicken. You can also broil it in the oven if summer storms roll in just as you are getting the grill ready. 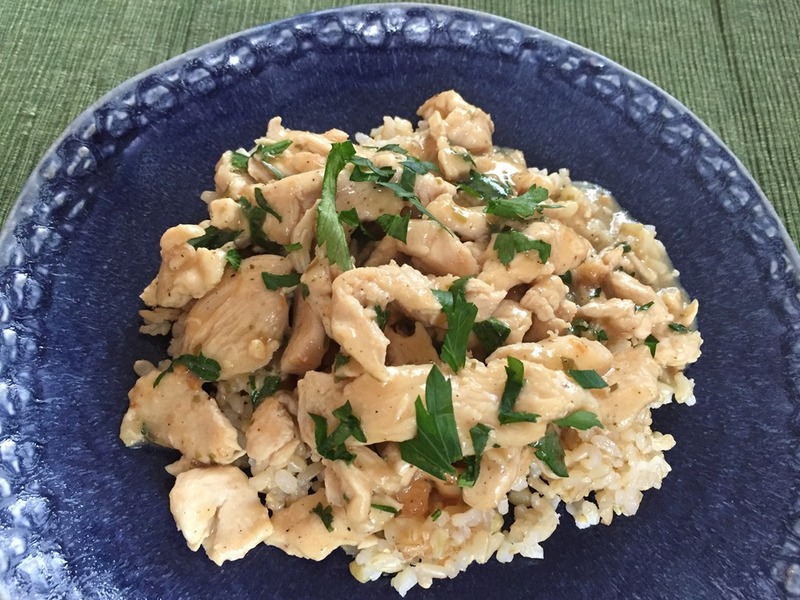 I like to use boneless chicken thighs when I make this. They are moist and tender and less likely to dry out when grilled. Combine all sauce ingredients, except for cornstarch/water mixture, in a Pyrex measuring cup. Microwave for 1 minute, or until sugar completely dissolves. Cool. Place chicken in a Ziploc bag. Add about 1/3 cup of the sauce to the bag and let chicken marinate for 1 hour to overnight. Grill or broil chicken until cooked through. Stir cornstarch/water mixture into remaining sauce and mix well. Heat in a small saucepan, stirring constantly, until thickened and smooth. 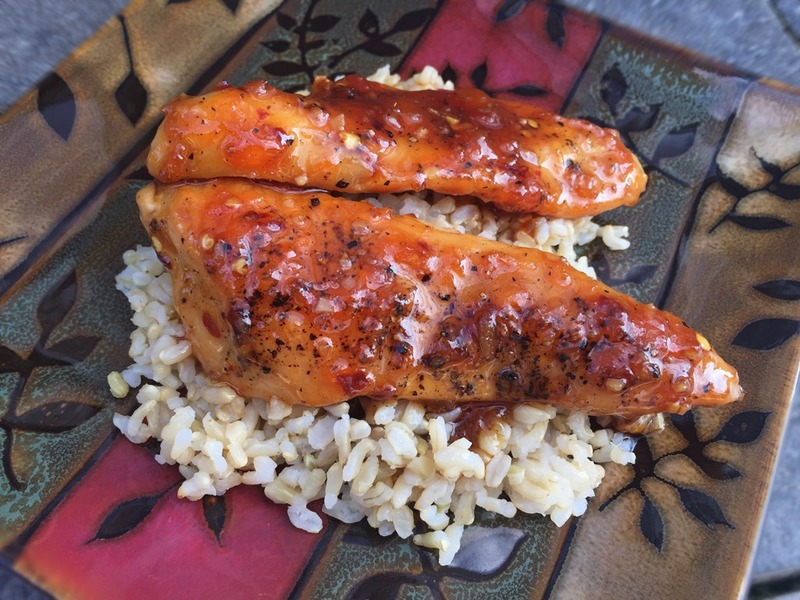 Brush cooked chicken with glaze and serve with rice. 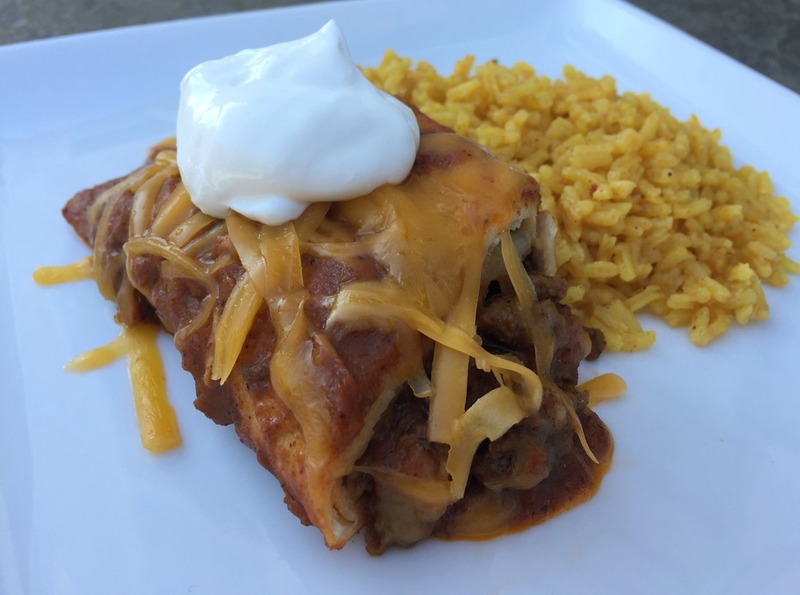 Beef Enchiladas with Homemade Enchilada Sauce. These are a definite kid pleaser, and so much better than the frozen variety. These are also perfect for make-ahead dinners. Prepare the individual enchiladas and freeze on a baking sheet. Put the frozen enchiladas into a Ziploc bag and return to the freezer. Then pull out as many as you want to cook on a busy night and bake them frozen (no thawing needed). Preheat oven to 350°F. Spray a 9×13” baking dish with nonstick spray. Brown ground beef and onion in a large skillet until cooked through. Stir in taco seasoning, garlic powder, salt and ½ cup of the prepared Enchilada Sauce. Cook for 5-6 minutes over low heat. Spread about ½ cup of Enchilada Sauce on bottom of baking dish. Place about 1/3 cup (for corn tortillas) – ½ cup (for flour tortillas) down the center of each tortilla. Top with shredded cheese. Wrap the tortilla around the filling and place seam-side down in the baking pan. Pour remaining Enchilada Sauce over filled enchiladas. Cover with foil and bake for 45 minutes. Top with additional 1 cup cheese and bake 5 minutes more, or until cheese is melted. **TO FREEZE: Prepare filled enchiladas, but do not top with sauce. 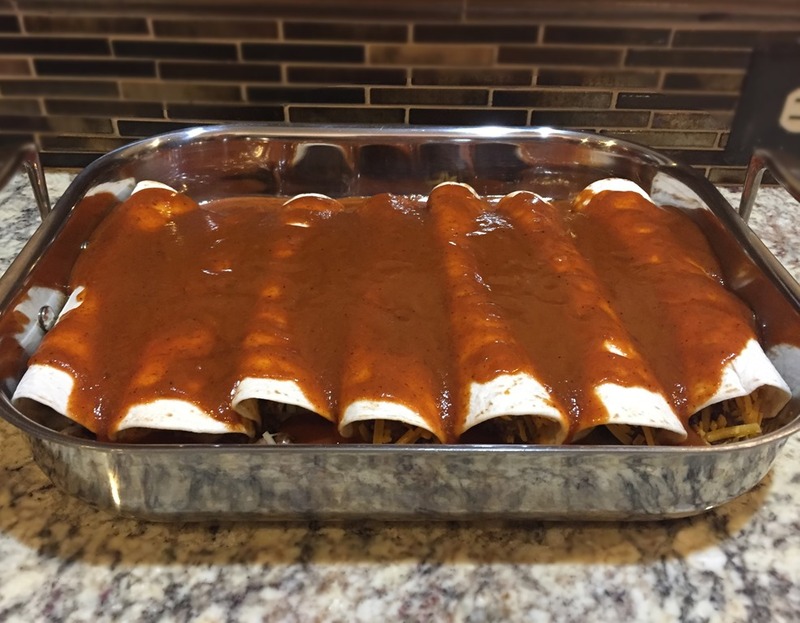 Place enchiladas, not touching, on a foil-lined baking sheet. Freeze until firm, then place in Ziploc bags. Freeze sauce separately in a Ziploc bag. Enchiladas do not need to be thawed before cooking. Heat oil in a saucepan over medium heat. Whisk in flour and stir constantly until flour just begins to brown. Whisk in chili powder and taco seasoning. Whisk for 1 minute and then stir in tomato sauce, chicken broth, brown sugar and salt. Simmer over medium-low heat for 10 minutes. You know those days when you run from one activity to another, and before you know it everyone is starving and you haven’t thought about dinner yet? 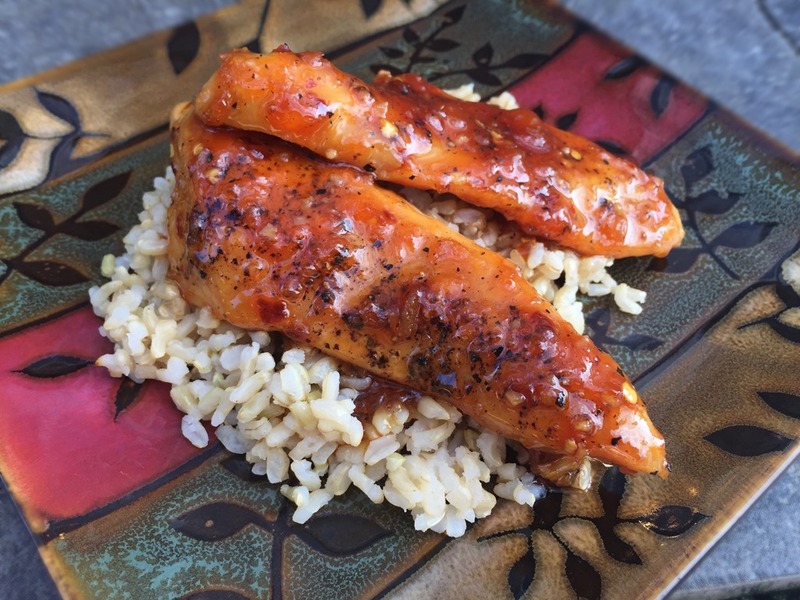 Apricot Glazed Chicken is made for those days. 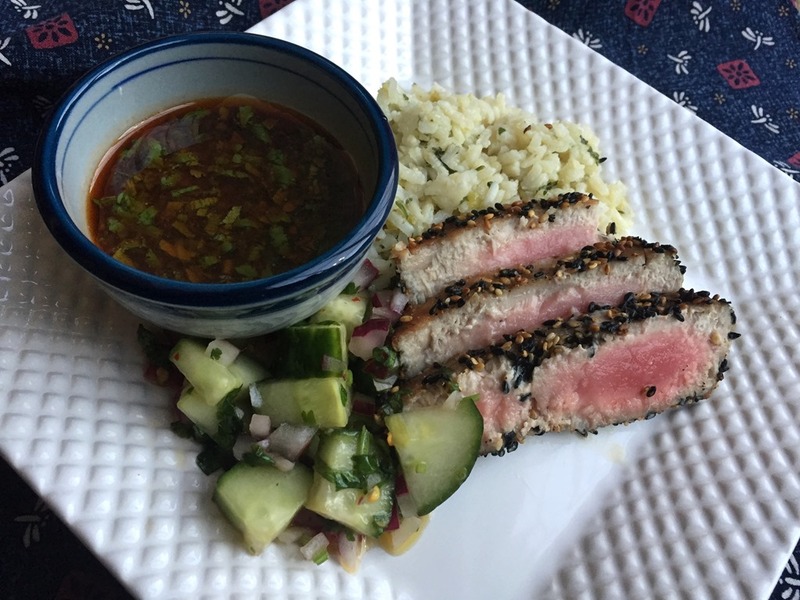 This recipe is one of my favorite go-to last minute dinners. And it helps that it is always a hit with the kids. 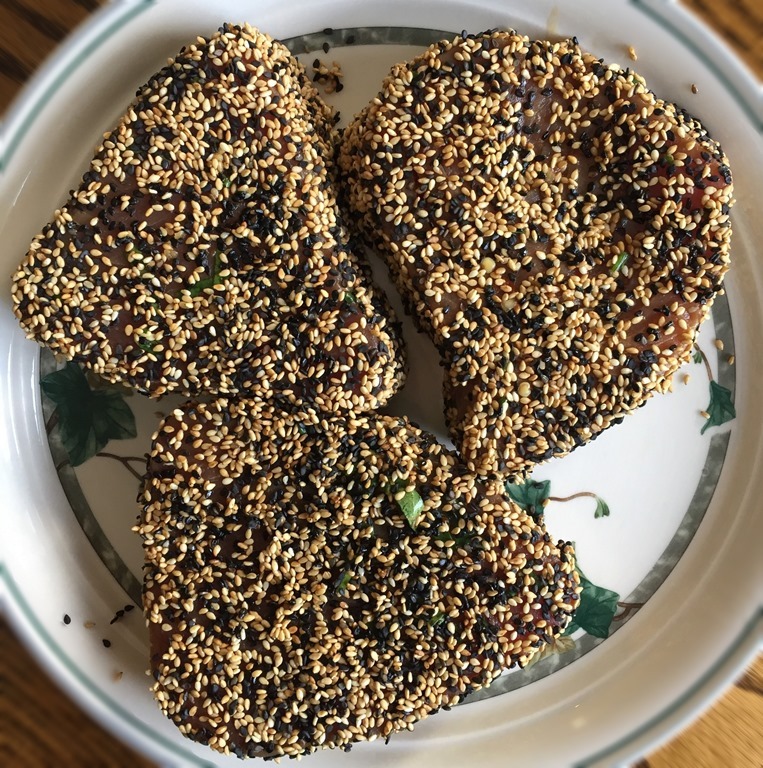 The glaze is a simple mix of apricot jam, soy sauce and a few spices. Brown some chicken breasts or tenderloins in a skillet, pour on the glaze and cook for 5 minutes. 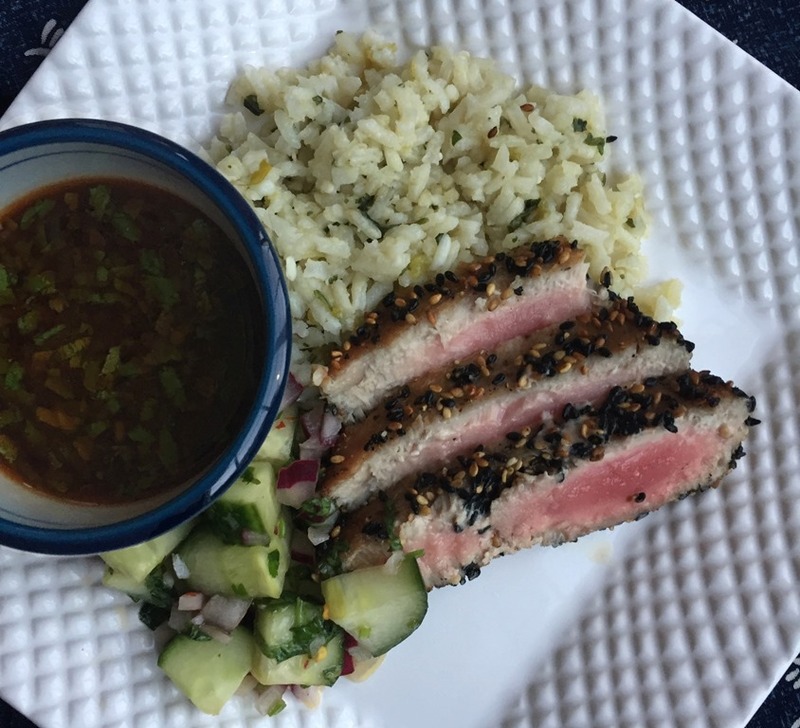 Add a little rice and dinner is served! A perfect meal for the dinner procrastinator! I have also made this chicken with this homemade Peach Vanilla Jam or Mango Jalapeno Jam. Heat oil in a large skillet. Add chicken to skillet and sprinkle with salt, pepper and garlic powder. Cook until well browned. Combine glaze ingredients and pour over chicken. Cook for about 5 minutes, or until chicken is cooked through and glaze thickens slightly. Serve over hot steamed rice.